ONITSHA—POLITICIANS in the country have been called upon to withdraw their support from the All Progressives Congress, APC, which has disappointed Nigerians and transfer same to any other political party that would move Nigeria forward. The Anglican Bishop of Aguata Diocese, Rt. Rev. Samuel Ezeofor who made the call at the Basilica of St. James the Great Cathedral, Atani, headquarters of Anglican Diocese of Ogbaru, during the enthronement of Rt. Rev. Prosper Amah as the second Bishop of Ogbaru Diocese, said what is important now is for politicians to look around and find out which of the parties that will move the nation forward and then join the bandwagon. 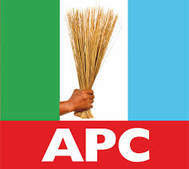 According to Bishop Ezeofor, “APC has moved us backward and if we must progress, we must do the needful by leaving the APC which could not lead Nigeria to the promised land and queue behind a party that can guarantee our progress because we must progress as a nation since Nigeria is bigger than a single individ ual or APC as a political party”. He therefore, urged Bishop Amah who took over from him as the Anglican Bishop of Ogbaru to surpass his footprints in Ogbaru Diocese by completing the structures he started and at the same time, lead the Anglican faithful to God. Chancellor of the Diocese, Justice Pete Obiora, while presenting the key of a new brand Toyota SUV bought by the lay faithful to Amah, their new Bishop, said they were welcoming him to the Diocese with an open heart and urged him to do his best in shepherding the flock in the Diocese. Obiora also praised the out-going Bishop Ezeofor who he said did marvelously well as the pioneer Bishop of Ogbaru Diocese, in the service of God and humanity and urged him to replicate the same in his new Aguata Diocese.